In 2018, tracking our sleep was the leading trend in the realm of sleep hygiene. With the use of various technologies and applications, we were able to monitor different aspects of our sleep cycle, including length and depth. It is through this awareness that we have been able to make changes to our sleep environment and habits to optimize our sleep. We are no longer focused on solely sleeping longer though; we want to obtain a more a consistent and rejuvenating sleep so that we can perform at the highest potential in our everyday lives. 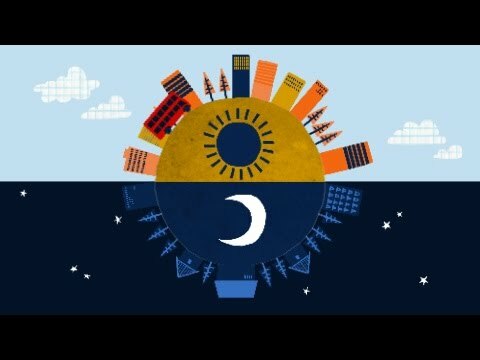 Understanding the circadian rhythm is key to optimizing our sleep and will be a leading wellness trend in 2019. Two main hormones fuel our circadian rhythm, cortisol, and melatonin. Cortisol peaks during the daylight hours, while melatonin releases in the evening. When our hormones are out of whack, finding a deep and restful sleep becomes a real challenge. Ellen Vora, a holistic psychiatrist, explains that “the human body functions best when it is in sync with the sun and the moon.” One of the best things that you can do for your body and your circadian rhythm is to go to sleep at the same time every night and wake up at the same time every day. Keeping to the rise and fall schedule like the sun and the moon will help regulate your hormones and your ability to find the rest your physical and emotional body needs. “Each morning when you wake up at the same time, you get sunlight through your eyes, which helps reset your circadian rhythm. This reset impacts every organ system and every disease state. In addition, your brain then knows when to fall asleep and when to wake up, and this allows your sleep cycle to become more efficient, and increase deep sleep,” exclaims Michael Breus, Ph.D., a board-certified sleep specialist. For most of us, every other aspect of our daily lives adheres to a timed schedule. It is time we start subscribing to a better sleep schedule and treating ourselves to the rest we need and deserve. The earlier you can go to sleep the better, but the most important thing is that you pick a time that works for you and stick to it. We all know how amazing it feels to wake up after a truly restful night of sleep. Imagine if you could wake up feeling that way every morning? The good news is you can! It’s all about resetting your internal clock and doing so is all about consistency.